Northwestern University. 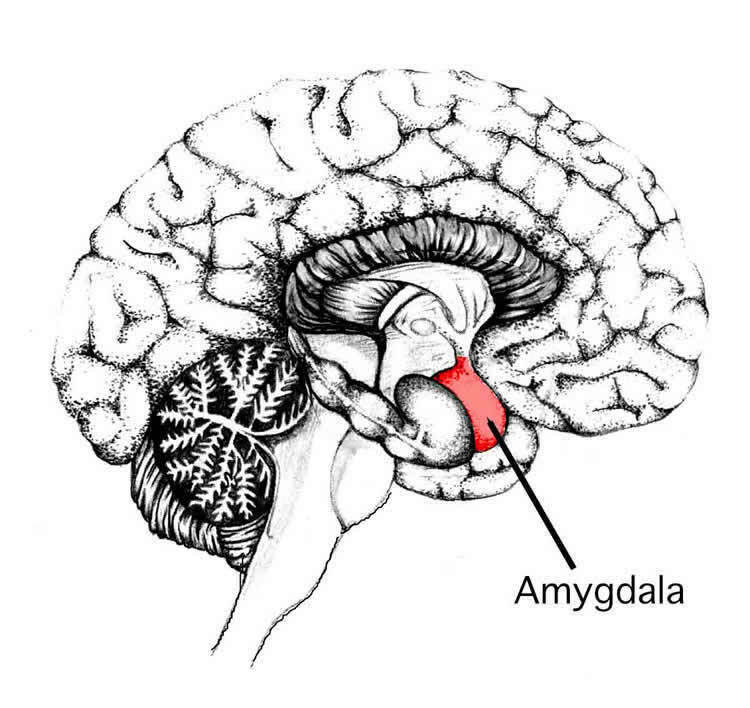 “Rhythm of Breathing Affects Memory and Fear.” http://neurosciencenews.com/memory-fear-breathing-5699/ (accessed December 6, 2016). I’ve been in and out of hospitals since the age of 5yo because of my chronic asthma where I’ve been intubated 5 times due to respiratory failure, and once a pneumothorax or chest tube because my lung collapsed from the breathing machine called “The Bird” in 1983. So not only have I spent numerous days in and out of ERs and hospitals rooms since the age of 5yo, 5 of them were in ICU for a week, then basic room for another week due to chronically suffocating to the point of deffocating in public before the EMTs rescued me. Once the tube has been removed from being intubated, which consisted of having a tube shove down my nostrils while I’m awake, and later while under, down my throat for the life support machine and then having my lungs scraped sometimes while I’m awake, I’ve become clairvoyant. Each time I suddenly view our world entirely in different light than most humans. You see, some of those details I wish I could forget, but I can’t. There have been many times I have no recollection of events right before I’ve been intubated. Today, at 57yo, my recall is pretty good where I can recall events from when I was 2yo. Because of my chronic suffocating I became an Autodidact, a self learner in order to survive in this violent world where I became a Children’s Librarian Aide for 8 years. I’m able to recall where 10s of 1000s of materials are listed at better than the Librarians with Library Science Degrees that have to use their computers to locate the same materials I can simply recall. But maybe it has to do with me also being the person who has placed those books, cds, dvds, etc… in their sections down to the decimal points and or names. The thing is they are the people who’ve logged and labeled those materials before they’re put into their sections. Maybe my memory is healthy today due to eating clean as a vegan for many years, and because I spend a lot of time in Negative Ionospheres where I’ve become Lean & Keen? lol! But I do forget some things now mainly in the mornings. Nevertheless, I can see where breathing matters when it comes to our ability to remember, but this fact only adds more to me wondering how well I could have done in life if not for my chronic asthma! Now why did I log on to Facebook for again?? I thought inhales activate the fight/flight (sympathetic) nervous system and exhales activate the rest-restore (parasympathetic) nervous system. Inhales, therefore, would naturally increase recall of fearful images. The problem is that most people are in fight-flight when they don’t need to be and longer exhales do activate the parasympathetic. People also need to know about respiratory sinus arrhythmia which means that in healthy people a longer exhale will be followed by a shorter one. I have worked with many people with nasal congestion in my Medical Qigong energy healing practice and have found a deep healing potential corresponds with relaxing deep into the nasal cavity region. It seems to open up memory. This article sheds a valuable light on the physical dynamics of the in breath. Thank you. I find it interesting that it found that in those who have epileptic seizures there were chances in the area of the brain such as the emotion of fear, and other emotions spoke of. Yet one such as myself who began having non-epileptic seizures that began after a head injury and are rather rare, I am given an answer with someone of a sigma of they due emotions. They have never occurred when I,ve been upset under pressure. They can be triggered by bright flashing light, lound continues noises, or when I have a really bad migraine that I can’t get under control. I would say yes there is a change in my breathing. I did find this to be extremely interesting article. I am a Yoga practitioner and I love your article .Pranayama ( the art of breathing) is a healing practice and sophisticated proccess. This is not new. Yogis knew this thousands of years ago. It is why yoga focuses so much on breath awareness and control. The road to the mind is through the breath. Just because the Eestern world is waking up to this now does not mean they have discovered it for the first time. I was reading this with interest right up to Zelano’s unfounded claim that with rapid breathing “you’ll spend proportionally more time inhaling than when in a calm state”. This is ludicrous conclusion. Given that inhaling is always followed by exhaling, unless special attention were paid to one or the other, there would be no proportional change from an average 50/50. A person can exhale and inhale at different speeds to change the ratio from 50/50 to something else. From my own observations as an energy healer who guides clients to live with a breath consciousness, a lot of people have a hard time inhaling a deep breath yet find it much easier to take a deep exhale. The difficulty with taking a deep breath may account for more time spent inhaling when the demand for oxygen is greater than usual. David – writing ‘avg 50/50’ you probably mean amount of air – correct. Zelano means (‘amount of’) time. You can try for yourself changing the proportion, e.g. 3sec in – 6sec out and then the other way. You will probably feel the difference. The latter not only builds excitement but also supports it. I understand that Zelano is trying to guess why it would be evolutionary beneficial. Btw. if you associate inhale with assimilation and exhale with elimination – the above also makes sense, doesn’t it? This explains so many things for me…on Oct 12 2016, I suffered a Severe Asthmatic Attack, causing me to go into Cardiac arrest and Respiratory arrest….I was nonresponsive for over 5 minutes….I now can’t get my thoughts together, and remembered when I first got home from the hospital 3 days later, I was scared to death, but didn’t know what I was afraid of. ….2 months later my thought process is improving or at least I feel like it is….and the fear is still real but not quite as bad….it’s been one heck of a road to recovery….plus I’m 55 years old, so the odds aren’t exactly in my favor.. I had something similar happen to me. I couldn’t calm my breath at all and felt terrible. I went to see a Somatic Experencing therapist. He taught me to breath out slowly for count of 6 and to then hold my breath for count of 6 (or more if you can) then breath in normally. Repeat these breathing out and holding breaths for 3 – 5 mins. This calms down the whole breathing process and the flight or fight mode or freeze mode which you maybe in after having a shock like you have had. Give it a try and you will feel loads better! It’s a great article. Would like to read more on this topic. This is how the ancient technology of Yoga postures (with specific sequences and movements on inhales and exhales), works so well to bring balance to the system, neurological, biological, etherical and astral. The charges around fear memories (that are hurtful), are transmuted efficiently, enabling health and wellbeing and reverential Awareness and Willpower to return. Hi Lory, While I am not a “specialist” in epileptic seizures, what I have found in working with clients who have them is that by careful observation of their breathing they can get to the point where they can often detect a seizure coming on 2 minutes before it happens. This is important because it then gives them a warning to get into a prevention / minimization mode.